6800801 GP15AK YALE GP15AK Gasoline forklift GP series. Spare Parts Catalog. Service (workshop) Manual. Operator's Instruction Manual. 6800802 GP16AF YALE GP16AF Gasoline forklift GP series. Spare Parts Catalog. Service (workshop) Manual. Operator's Instruction Manual. 6800803 GP16BF YALE GP16BF Gasoline forklift GP series. Spare Parts Catalog. Service (workshop) Manual. Operator's Instruction Manual. 6800804 GP18AK YALE GP18AK Gasoline forklift GP series. Spare Parts Catalog. Service (workshop) Manual. Operator's Instruction Manual. 6800805 GP20AF YALE GP20AF Gasoline forklift GP series. Spare Parts Catalog. Service (workshop) Manual. Operator's Instruction Manual. 6800806 GP20AK YALE GP20AK Gasoline forklift GP series. Spare Parts Catalog. Service (workshop) Manual. Operator's Instruction Manual. 6800807 GP20BF YALE GP20BF Gasoline forklift GP series. Spare Parts Catalog. Service (workshop) Manual. Operator's Instruction Manual. 6800808 GP20RF YALE GP20RF Gasoline forklift GP series. Spare Parts Catalog. Service (workshop) Manual. Operator's Instruction Manual. 6800809 GP20 RK / TK YALE GP20 RK/TK Gasoline forklift GP series. Spare Parts Catalog. Service (workshop) Manual. Operator's Instruction Manual. 6800810 GP25RF YALE GP25RF Gasoline forklift GP series. Spare Parts Catalog. Service (workshop) Manual. Operator's Instruction Manual. 6800811 GP25 RK / TK YALE GP25 RK/TK Gasoline forklift GP series. Spare Parts Catalog. Service (workshop) Manual. Operator's Instruction Manual. 6800812 GP030AF YALE GP030AF Gasoline forklift GP series. Spare Parts Catalog. Service (workshop) Manual. Operator's Instruction Manual. 6800813 GP030BF YALE GP030BF Gasoline forklift GP series. Spare Parts Catalog. Service (workshop) Manual. Operator's Instruction Manual. 6800814 GP030SVX YALE GP030SVX Gasoline forklift GP series. Spare Parts Catalog. Service (workshop) Manual. Operator's Instruction Manual. 6800815 GP030VX YALE GP030VX Gasoline forklift GP series. Spare Parts Catalog. Service (workshop) Manual. Operator's Instruction Manual. 6800816 GP30 RK / TK YALE GP30 RK/TK Gasoline forklift GP series. Spare Parts Catalog. Service (workshop) Manual. Operator's Instruction Manual. 6800817 GP30TF YALE GP30TF Gasoline forklift GP series. Spare Parts Catalog. Service (workshop) Manual. Operator's Instruction Manual. 6800818 GP30TK YALE GP30TK Gasoline forklift GP series. Spare Parts Catalog. Service (workshop) Manual. Operator's Instruction Manual. 6800819 GP035VX YALE GP035VX Gasoline forklift GP series. Spare Parts Catalog. Service (workshop) Manual. Operator's Instruction Manual. 6800820 GP35 LG YALE GP35 LG Gasoline forklift GP series. Spare Parts Catalog. Service (workshop) Manual. Operator's Instruction Manual. 6800821 GP35 RK / TK YALE GP35 RK/TK Gasoline forklift GP series. Spare Parts Catalog. Service (workshop) Manual. Operator's Instruction Manual. 6800822 GP35TK YALE GP35TK Gasoline forklift GP series. Spare Parts Catalog. Service (workshop) Manual. Operator's Instruction Manual. 6800823 GP040AF YALE GP040AF Gasoline forklift GP series. Spare Parts Catalog. Service (workshop) Manual. Operator's Instruction Manual. 6800824 GP040BF YALE GP040BF Gasoline forklift GP series. Spare Parts Catalog. Service (workshop) Manual. Operator's Instruction Manual. 6800825 GP040RG YALE GP040RG Gasoline forklift GP series. Spare Parts Catalog. Service (workshop) Manual. Operator's Instruction Manual. 6800826 GP040SVX YALE GP040SVX Gasoline forklift GP series. Spare Parts Catalog. Service (workshop) Manual. Operator's Instruction Manual. 6800827 GP040TG YALE GP040TG Gasoline forklift GP series. Spare Parts Catalog. Service (workshop) Manual. Operator's Instruction Manual. 6800828 GP040VX YALE GP040VX Gasoline forklift GP series. Spare Parts Catalog. Service (workshop) Manual. Operator's Instruction Manual. 6800829 GP040ZG YALE GP040ZG Gasoline forklift GP series. Spare Parts Catalog. Service (workshop) Manual. Operator's Instruction Manual. 6800830 GP40LG YALE GP40LG Gasoline forklift GP series. Spare Parts Catalog. Service (workshop) Manual. Operator's Instruction Manual. 6800831 GP45LJ YALE GP45LJ Gasoline forklift GP series. Spare Parts Catalog. Service (workshop) Manual. Operator's Instruction Manual. 6800832 GP45MG YALE GP45MG Gasoline forklift GP series. Spare Parts Catalog. Service (workshop) Manual. Operator's Instruction Manual. 6800833 GP45MJ YALE GP45MJ Gasoline forklift GP series. Spare Parts Catalog. Service (workshop) Manual. Operator's Instruction Manual. 6800834 GP45NG YALE GP45NG Gasoline forklift GP series. Spare Parts Catalog. Service (workshop) Manual. Operator's Instruction Manual. 6800835 GP050RG YALE GP050RG Gasoline forklift GP series. Spare Parts Catalog. Service (workshop) Manual. Operator's Instruction Manual. 6800836 GP050TG YALE GP050TG Gasoline forklift GP series. Spare Parts Catalog. Service (workshop) Manual. Operator's Instruction Manual. 6800837 GP050VX YALE GP050VX Gasoline forklift GP series. Spare Parts Catalog. Service (workshop) Manual. Operator's Instruction Manual. 6800838 GP050ZG YALE GP050ZG Gasoline forklift GP series. Spare Parts Catalog. Service (workshop) Manual. Operator's Instruction Manual. 6800839 GP50MG YALE GP50MG Gasoline forklift GP series. Spare Parts Catalog. Service (workshop) Manual. Operator's Instruction Manual. 6800840 GP50MJ YALE GP50MJ Gasoline forklift GP series. Spare Parts Catalog. Service (workshop) Manual. Operator's Instruction Manual. 6800841 GP55MJ YALE GP55MJ Gasoline forklift GP series. Spare Parts Catalog. Service (workshop) Manual. Operator's Instruction Manual. 6800842 GP060RG YALE GP060RG Gasoline forklift GP series. Spare Parts Catalog. Service (workshop) Manual. Operator's Instruction Manual. 6800843 GP060TG YALE GP060TG Gasoline forklift GP series. Spare Parts Catalog. Service (workshop) Manual. Operator's Instruction Manual. 6800844 GP060VX YALE GP060VX Gasoline forklift GP series. Spare Parts Catalog. Service (workshop) Manual. Operator's Instruction Manual. 6800845 GP060ZG YALE GP060ZG Gasoline forklift GP series. Spare Parts Catalog. Service (workshop) Manual. Operator's Instruction Manual. 6800846 GP070LG YALE GP070LG Gasoline forklift GP series. Spare Parts Catalog. Service (workshop) Manual. Operator's Instruction Manual. 6800847 GP070LJ YALE GP070LJ Gasoline forklift GP series. Spare Parts Catalog. Service (workshop) Manual. Operator's Instruction Manual. 6800848 GP070VX YALE GP070VX Gasoline forklift GP series. Spare Parts Catalog. Service (workshop) Manual. Operator's Instruction Manual. 6800849 GP70CA YALE GP70CA Gasoline forklift GP series. Spare Parts Catalog. Service (workshop) Manual. Operator's Instruction Manual. 6800850 GP080LJ YALE GP080LJ Gasoline forklift GP series. Spare Parts Catalog. Service (workshop) Manual. Operator's Instruction Manual. 6800851 GP080VX YALE GP080VX Gasoline forklift GP series. Spare Parts Catalog. Service (workshop) Manual. Operator's Instruction Manual. 6800852 GP090LJ YALE GP090LJ Gasoline forklift GP series. Spare Parts Catalog. Service (workshop) Manual. Operator's Instruction Manual. 6800853 GP090VX YALE GP090VX Gasoline forklift GP series. Spare Parts Catalog. Service (workshop) Manual. Operator's Instruction Manual. 6800854 GP100MJ YALE GP100MJ Gasoline forklift GP series. Spare Parts Catalog. Service (workshop) Manual. Operator's Instruction Manual. 6800855 GP100VX YALE GP100VX Gasoline forklift GP series. Spare Parts Catalog. Service (workshop) Manual. Operator's Instruction Manual. 6800856 GP110MG YALE GP110MG Gasoline forklift GP series. Spare Parts Catalog. Service (workshop) Manual. Operator's Instruction Manual. 6800857 GP110MJ YALE GP110MJ Gasoline forklift GP series. Spare Parts Catalog. Service (workshop) Manual. Operator's Instruction Manual. 6800858 GP110VX YALE GP110VX Gasoline forklift GP series. Spare Parts Catalog. Service (workshop) Manual. Operator's Instruction Manual. 6800859 GP120MJ YALE GP120MJ Gasoline forklift GP series. Spare Parts Catalog. Service (workshop) Manual. Operator's Instruction Manual. 6800860 GP120VX YALE GP120VX Gasoline forklift GP series. Spare Parts Catalog. Service (workshop) Manual. Operator's Instruction Manual. 6800861 GP135CA YALE GP135CA Gasoline forklift GP series. Spare Parts Catalog. Service (workshop) Manual. Operator's Instruction Manual. 6800862 GP135VX YALE GP135VX Gasoline forklift GP series. Spare Parts Catalog. Service (workshop) Manual. Operator's Instruction Manual. 6800863 GP155CA YALE GP155CA Gasoline forklift GP series. Spare Parts Catalog. Service (workshop) Manual. Operator's Instruction Manual. 6800864 GP155VX YALE GP155VX Gasoline forklift GP series. Spare Parts Catalog. Service (workshop) Manual. Operator's Instruction Manual. 6800865 GP165DA YALE GP165DA Gasoline forklift GP series. Spare Parts Catalog. Service (workshop) Manual. Operator's Instruction Manual. 6800866 GP170DB YALE GP170DB Gasoline forklift GP series. Spare Parts Catalog. Service (workshop) Manual. Operator's Instruction Manual. 6800867 GP190DA YALE GP190DA Gasoline forklift GP series. Spare Parts Catalog. Service (workshop) Manual. Operator's Instruction Manual. 6800868 GP190DB YALE GP190DB Gasoline forklift GP series. Spare Parts Catalog. Service (workshop) Manual. Operator's Instruction Manual. 6800869 GP210DA YALE GP210DA Gasoline forklift GP series. Spare Parts Catalog. Service (workshop) Manual. Operator's Instruction Manual. 6800870 GP210DB YALE GP210DB Gasoline forklift GP series. Spare Parts Catalog. Service (workshop) Manual. Operator's Instruction Manual. 6800871 GP230DA YALE GP230DA Gasoline forklift GP series. Spare Parts Catalog. Service (workshop) Manual. Operator's Instruction Manual. 6800872 GP230DB YALE GP230DB Gasoline forklift GP series. Spare Parts Catalog. Service (workshop) Manual. Operator's Instruction Manual. 6800873 GP250DA YALE GP250DA Gasoline forklift GP series. Spare Parts Catalog. Service (workshop) Manual. Operator's Instruction Manual. 6800874 GP250DB YALE GP250DB Gasoline forklift GP series. Spare Parts Catalog. Service (workshop) Manual. Operator's Instruction Manual. 6800875 GP280DA YALE GP280DA Gasoline forklift GP series. Spare Parts Catalog. Service (workshop) Manual. Operator's Instruction Manual. 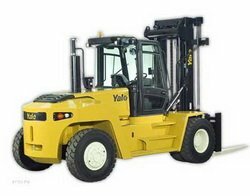 6800876 GP280DB YALE GP280DB Gasoline forklift GP series. Spare Parts Catalog. Service (workshop) Manual. Operator's Instruction Manual. 6800877 GP300EB YALE GP300EB Gasoline forklift GP series. Spare Parts Catalog. Service (workshop) Manual. Operator's Instruction Manual. 6800878 GP330EB YALE GP330EB Gasoline forklift GP series. Spare Parts Catalog. Service (workshop) Manual. Operator's Instruction Manual. 6800879 GP360EB YALE GP360EB Gasoline forklift GP series. Spare Parts Catalog. Service (workshop) Manual. Operator's Instruction Manual.